Approximately 80% of adults will suffer from lower back pain at some point in their lives. Dr. Charles Arndt and Dr. Debarun Borthakur at Chiropractic Health and Wellness Center in Sterling, Virginia, offer innovative chiropractic approaches to treating lower back pain. Uncovering the source of the lower back pain and offering a customized treatment plan for each patient is the key to their success in helping relieve the pain and improving your quality of life. If your back is bothering you, contact the office to make an appointment. Lower back pain is just a symptom, and the cause is harder to pinpoint. In some cases, a particular trauma is responsible, such as a vehicle accident or strain due to heavy lifting. In other patients, degenerative spinal issues could be the source of their lower back pain. Even a sedentary lifestyle can be a factor. The practitioners at Chiropractic Health and Wellness Center approach all symptoms as just the tip of the iceberg and focus on finding the source of the dysfunction. Once the root of your pain is determined, they begin addressing the particular health condition, as well as providing relief for the symptoms. What treatments are used for lower back pain? Too often lower back pain is only addressed with medication, which only masks the pain and doesn’t fix the underlying cause. For long-term relief, it’s important to treat the root of the pain. This means every person may receive different treatments for lower back pain, depending on the cause. Often, the Chiropractic Health and Wellness Center specialists combine different treatments to address lower back pain. A computerized X-ray analysis is used to monitor changes in lower back alignment during your treatments, providing visual documentation of improvement. Why should I choose medical integration treatment for my lower back pain? Lower back pain rarely goes away on its own. Even if the pain dissipates, if the underlying cause isn’t treated, it will likely return. 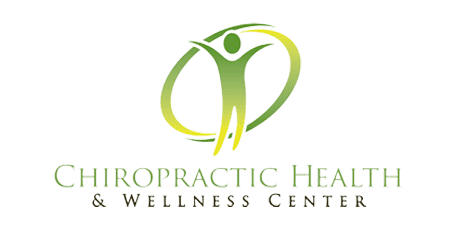 Medically integrated treatment from Chiropractic Health and Wellness Center focuses on finding the source of the pain and providing treatment that will not only help minimize the pain but offer improved overall health for long-term relief. This integrated approach can provide you with a better understanding of the cause and the best treatment to overcome your lower back pain.